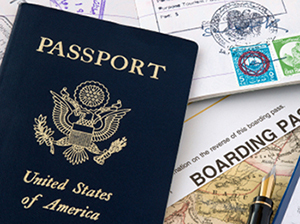 In as little as 24 hours from the time we receive your documents, you can have your expedited passport in hand. It’s quick and easy! We have daily interaction and constant contact with embassies, passport agencies, and consulates to keep us up to date on the most current regulations. Building those relationships makes it easy for us to meet your travel needs, efficiently, quickly, and correctly. Express Passport’s number one goal is for you to travel worry-free, with confidence and peace of mind. When you contact us, our highly-trained personnel will work with you individually until all your needs are met, either by phone, email or live chat. Our Express Passport specialists are used to meeting tight deadlines necessitated by last minute trips and urgent reasons to travel abroad. With our state of the art technology, we have access to real-time information on all customer orders. This technology also allows you to track your order through each step of the process from the moment it leaves your hands to the second it is delivered to your doorstep. Express Passport has decades of experience of working with clients as diverse as Fortune 500 executives to the occasional vacation and cruise traveler. We’re proud to say the Red Cross put their trust in us when they chose us as their passport agency. We come highly recommended from corporations, travel agencies, tour operators, and cruise ship lines, and to gain such an excellent reputation, our service to these organizations must be flawless so as to reflect well on these clients to their travelers.